EXCEPTIONALLY Priced and Undeniably the BEST EXPANSIVE VIEWS available for a home in sought-after KOKO KAI neighborhood! 180-degree OCEAN, DIAMOND HEAD, COASTLINE, & MOUNTAIN views! Situated on an up-slope parcel that provides a vantage point well above the surrounding homes. Enjoy a SINGLE-LEVEL FLOOR PLAN, with rarely found – versatile 5 bedrooms! An open plan living room – dining – kitchen, with an adjacent pool and spacious patio surround, is a PERFECT design for entertaining with family & friends. This BEAUTIFUL home features many added improvements: new electrical, plumbing, security, 40-panel owned + net-metered photo-voltaic (PV) system, solar water heating & hardwood flooring .. Enjoy LOW monthly utilities, INCREDIBLE Views and an IDEAL-quiet location of Koko Kai in East Oahu. Please, send me more information on this property: MLS# 201904018 – $2,499,000 – 79 Lumahai Street, Honolulu, HI 96825. 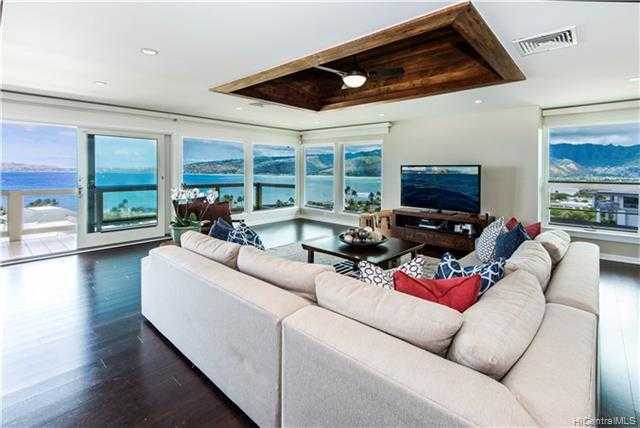 I would like to schedule a private showing for this property: MLS# 201904018 – $2,499,000 – 79 Lumahai Street, Honolulu, HI 96825.